The iGorot Preacher: Discipling All Nations or Making Disciples in all Nations? Discipling All Nations or Making Disciples in all Nations? There is a huge difference between making disciples of all nations and making disciples in all nations. Making all peoples disciples is totally different concept from making disciples from all peoples. From the dawn of creation to the death of Jesus Christ, and then to the ministry of the apostles it is obvious that not every person will become believers of God and followers of Jesus. During the time of Jesus Christ on the earth, not everyone in Palestine became His followers. In fact, He only focused His ministry on the 12, and only 120 disciples were waiting for the coming of the Hoy Spirit after the ascension of Jesus Christ. When the church began to grow in its early stage of history, not everyone became disciples regardless of the thousands that become followers of The Way. Many thousands more did not turn to faith in Christ. Despite the aggressive advance of the Gospel, the majority remained non-Christians. As the church moves on, persecution against Christianity persisted. From God’s stand point, He does not force every person to be saved. The history proves this from the dawn of creation till this very day. Jesus came into the world because He loves everyone, and there is no other way to get to the Father except through Him. Yet God didn’t save everyone. John 3:16 didn’t say, “For God so loved the world that He gave his only begotten son so that ALL will be saved...” Everyone who believes in Jesus and all that believes will be saved but not all will be saved because not all will believe. If God does not expect everyone to be save, who are we to think that we can do it? We should stop thinking that we can make every people a disciple of Jesus. It is obvious from the Great Commission that this is not the mandate. Did you know that the phrase "Great Commission" in not found in Matthew 28:19-20? I believe Jesus expects us to go and make disciples in all nations, but not to disciple a "whole" nation. To go and make disciple in every people group is His commission and mandate. The Gospel should be preached to all nations and we all should become His witnesses from where we are to the end the earth but He does not expect us to disciple everyone. If Jesus didn’t attempt to save everyone, why are we trying to do otherwise? How many non-Christians do you know? How many have you witnessed? Why are they not Christians? That every disciple should make disciple, is clear. We should disciple as many people as possible. We should win as many people to Christ as we can. But to save everyone is an elusive thinking not supported by the Scripture. No single nation today has been discipled wholly. To disciple a whole is an idea that is not commanded in Bible. I am not proposing a lethargic attitude towards world evangelization. My heart beats for the millions who do not know Christ. My heart cries for the millions who perish without Hope of eternal life week after week. I do everything I can to spread the Gospel. Yet still millions go down the grave without hope. If million goes into a christless eternity week after week it only proves the fact that not all people are indeed going to be saved. Some well meaning Christians would say, because we have not done our part the world remained unevangelized. The world remains unreach because Christians do not witness. Regardless of our reasoning, the world will never be fully discipled. Read Acts again. The early disciples gave their lives fully to the evangelization of the unsaved proclaiming the Gospel but not all became believers. I think, even if every Christian on the planet earth will spend every day trying to win people to believe Jesus, not everyone will turn to Christ. WHY the pessimistic attitude? Because every person has a freedom to choose—not everyone will choose Jesus Christ no matter how skillful we are in our approach to evangelism. Not to mention what other people believe as reason—the doctrine of election! Freewill and doctrine of election provides reason to rethink our role in the fulfillment of the Great Commission. 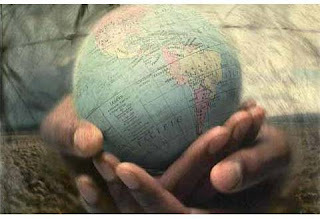 To “go and make disciples in all nations” is the mandate! Trying to do otherwise is unnecessary in God’s pursuit to a lost world.